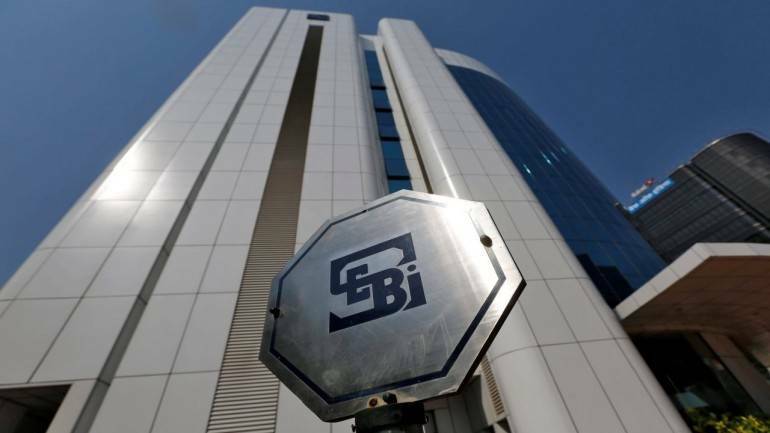 Market regulator Securities and Exchange Board of India (Sebi) releases names of 331 suspected shell companies as identified by the corporate affairs ministry. There are some widely traded companies in this list. In an interview to CNBC-TV18, Deena Mehta, MD of Asit C Mehta Investments and Prithvi Haldea, MD of Prime Database analysed the order that has come in. Mehta said better homework needs to be done by Sebi with regards to identifying shell companies. According to her, Sebi need to be very sure before curtailing trading of identified shell companies. MSEI extends trading window: Will BSE, NSE follow suit? Is high frequency trading against retail investors' interest? Prithvi Haldea of Prime Database said a lot of cleaning-up needs to be done. He is sure that the corporate affairs ministry has enough evidence to initiate proceeding. According to him Sebi and corporate affairs ministry are giving signals to the market about suspect practices. Latha: There are some names here where we see results, we have interviewed those companies, for instance J Kumar Infraprojects, they actually built the flyover opposite my house in Sion. The note from Securities and Exchange Board of India (SEBI) calls them shell companies. Do you think that this order will get challenged or will this be sacrosanct? Mehta: I think the database of Ministry of Corporate Affairs (MCA) actually first needs to be vetted out. I have my personal experience that 20 years ago one company I had merged into my company and today we got a notice saying that if you don’t write to us about this company, we will be taking it off the list. So, I think the MCA database is under suspect. Whereas Swachh Abhiyan is a welcome move to take out the companies, but I think the process is not good enough. We need a better process. If at all Sebi is doubting it, they have already created a T2T group, put into that, and thereafter just trading on Monday and all these things for actively traded companies are not fair. So, let the investigation happen, let the checking be done and then only they should move it to whatever new list that they want to move it. I think pending that, the process I feel is not really desirable and it is very confusing. A better homework needs to be done. Anuj: Sebi I am sure would have done its homework and that is why they would have come out with this list. Some of these companies could well be front for someone else. I am sure that Sebi and Corporate Affairs Ministry must have their evidence. Mehta: Point is they must have their evidence then why are they asking the exchanges again to conduct inspections, forensic audit and all. All I am saying is a matter of timing. You do all those things and be very sure that yes this company is a shell company and whatever criteria they want to adopt, is it fronting for somebody, and all these things I think should be done first before straightaway putting it on once a week trading. I feel that this confuses the investor unnecessarily. As it is we have got so many groups and one more now category has been conducted of 200 percent margin. So having so many different kind of lists, it is very difficult for the investor each time to go and check which company is which and what will happen if they trade in it. So, instead of that, either you say you suspend them and complete the investigation, or else you put it in a list which is already existing there and over a period of time you just phase them out. Latha: The letter does not contain any justification or data. Letter from Sebi which is apparently a Ministry of Corporate Affairs letter only being forwarded by Sebi merely says the ministry has identified a list of 331 shell companies. It does not give data or justification. What would be your first thoughts? Haldea: My first thought is that obviously a lot of cleaning has to be done across various places including the stocks. There are thousands of companies which are listed on exchanges, but are not traded at all and huge amount of investors’ money locked there. So I think that should be a top priority where companies have not been traded for decades. Coming back to this question, my sense is that I think the emphasis right now is too much on the word ‘shell’. Shell companies typically denotes that there is nothing inside, there is only a shell and there is no activity. As you mentioned, one of these companies is currently involved in some construction operation and therefore should typically not be called a shell company. However, I would slightly not agree with Deena Mehta in the sense that some work must have been done both by MCA in releasing the list and by Sebi subsequently in doing some credential check on these 331 companies before releasing the list. Obviously Sebi was not sitting on this list for the last two months doing nothing and the point that it took two months to notify this, I am sure some diligence must have been done. My sense would be that these have been called shell companies more maybe because the core operation is a very miniscule part of the total balance sheet. Latha: For almost 90-95 percent maybe what you are saying is right, I am only saying if one or two got away, there is no denying that many of these companies are not widely traded or heard about or analysed, I am sure they have done their homework, I am just wondering if one or two got away in the cracks? Haldea: I don’t think so because I think there has to be some basis on which you pick up a company. It is not a random selection by alphabet or by chronology or something. So I am sure there is enough information both with MCA and Sebi. So let us not emphasis too much on the word shell companies. I think I would rather be happy calling them suspect companies and therefore I think enough evidence should be available both with MCA and Sebi to have initiated this action. To be doubly sure, instead of trying to just rely upon the last filed balance sheet which could not throw up any surprises, Sebi has now asked the exchanges to get independent audit done so that the reality is much more confirmed and there could also be a forensic audit for example as mentioned. So, I think it is based upon some very solid evidence and now it is being re-verified through the stock exchange mechanism. Varinder: I just wanted to check according to your experience how much time now this will take because I am sure some of these companies will get back, they will appeal and all of those things. Mehta: Minimum three months just to start the process, another six months – like forensic audit and all are very time consuming. So it could take at least six months before any meaningful report can be given. So, I think that there tends to be a lot of confusion in the market and for the broker also to process the order one has to really check and see which category does this company belong to and then there can be disputes and all. So I think these all things are avoidable by maybe having just one category where you say all these are suspects, please don’t go into these companies or you trade with caution. So, from an operational point of view, too many categories makes it difficult. So, I think that one should have a definite view on what this company is all about and then accordingly the action must be taken. Varinder: Considering what you said is right that they surely have an evidence against some these companies, my only thing is that why only trade for once a month – if there is something wrong just let the independent forces of market come into judgment of what the price could be of these stocks because there would be many investors who will be stuck now in some of these companies? Haldea: I would not vouch for the fact that all these companies are terrible companies and therefore they should be removed from trading. There could be a possibility of two, three, or five companies which are engaged in genuine operations and have caught somehow into this list. However, I am sure that the reason for inclusion of these companies’ name is wider than just the fact that they are shell companies, there must be evidence about huge amount of transfer of funds, swapping of funds, subsidiary messing up, etc. and therefore this is trying to give a signal to the marketplace by Sebi that they are on the lookout for companies which are really not in the business that they are supposed to be in, they are doing other activities and therefore these are more serious than just suspension companies or companies which are treated with some caution. So, I would tend to put greater emphasis on these 331 companies because I think they have gone through two due diligence processes, one at MCA and one at Sebi and just to be sure that we have not caught any good company included in that list, probably stock exchanges can identify those companies based on bond market information and other details and take up the audit of those companies right away so that instead of having to wait for three or six months, you can have the real picture in front of you in the next 10-20 days or one month. Also watch accompanying video of Justice MB Shah, Former Supreme Court Judge.